Hanging out in San Diego with Gabriela’s sister Helena, her husband Jordi, and two children Yuri and Thais. We decided to have lunch at Cowboy Star in the Gaslamp district. Lo and behold, look what appeared on the table. 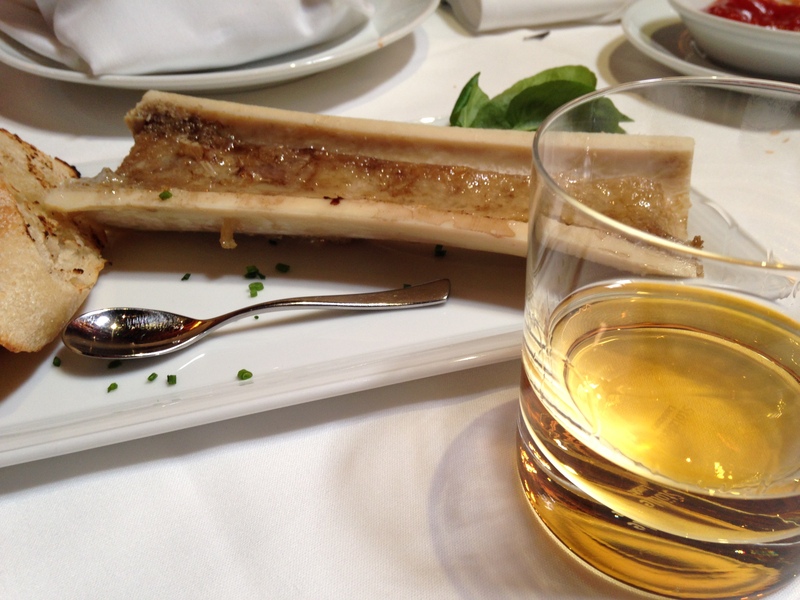 That’s right, Roasted Bone Marrow and a glass of Laphroaig 10. I have not yet posted on my love for single malt scotch, but it will happen, oh yes it will. In the meantime, this combination of a buttery, meaty taste with peat and malt blasted by the Atlantic Ocean off the coast of Islay was more than enough to put a smile on my face. What followed? Why this. 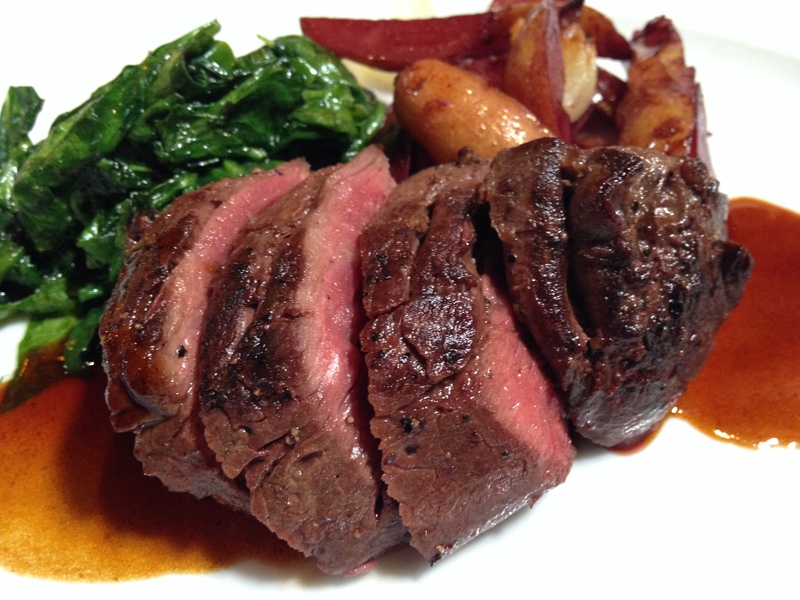 Medium-rare Hanger Steak with Roasted Potatoes, Sautéed Spinach and Beef au Jus (from beef bones). And, of course, a Lagavulin 16 to keep the dream alive. *Cowboy Star advertises “certified humane angus,” which appears to mean no antibiotics, no hormones and an all-vegetarian diet (grass and corn). Not sure how local, possibly as far as Montana. Was this a bone luge? Well done sir, well done. And yes, if a bone came that large, then yes, I would grab a sled and ride the rapids. Next Next post: And Now For Something Completely Different . . . And Yet There’s Always A Bone.